The interface between the simulation software CarMaker by IPG Automotive and EB Assist Automotive Data and Time-Triggered Framework (ADTF) by Elektrobit for the development, testing, visualization, and validation of advanced driver assistance systems and automated driving functions is already an established product feature of the CarMaker product family. The newly formed technological partnership between the Karlsruhe-based company and Elektrobit now facilitates an optimized joint support provided by IPG Automotive and Elektrobit for their customers who use both tools. In the medium to long run, the collaboration is also planned to be extended to additional subject areas. As a toolbox for the development of electronic control units, EB Assist ADTF combines a development environment and an interactive work environment. Using drag-and-drop, developers are able to create new configurations by means of the graphical user interface and the available modules. The data flow between the software components can be immediately defined and executed. Comprehensive libraries and toolboxes for various functionalities facilitate faster development of driver assistance and automation software modules. EB Assist ADTF is designed for use both in the lab and on the test track. The coupling with the simulation software CarMaker allows test algorithms of assistance systems or sensor models to be performed already in virtual test driving within the EB Assist ADTF environment. 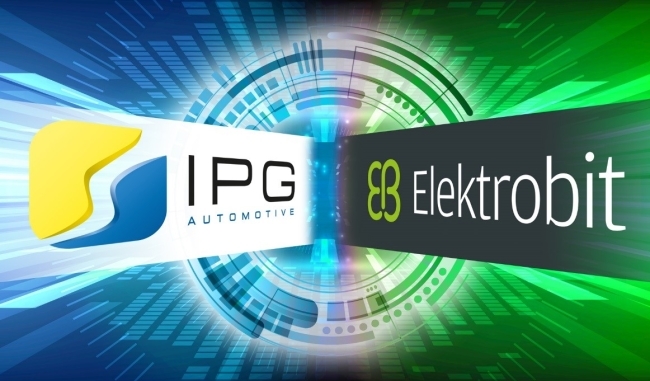 The extended developer licenses tied to the new partnership now guarantee an even more efficient, optimal overall support provided by IPG Automotive and Elektrobit, which is also intended to ensure continued high customer satisfaction. “In addition, this partnership offers us the opportunity to expand our collaboration to other fields. Especially in the areas of driver assistance and automated driving, we are an innovative partner and offer hardware components in addition to our software which could certainly be coupled with EB Assist ADTF, and which would open up new innovative test possibilities in virtual test driving for our customers,” said Martin Elbs, General Manager Sales and Business Development at IPG Automotive, looking ahead to future activities. By taking real test driving into the virtual world as a complement to on-road testing, IPG Automotive contributes significantly to technical progress and shares in shaping the mobility of tomorrow with regard to comfort, safety, economic efficiency and environmental friendliness. In addition to the company headquarters in Karlsruhe, Germany, IPG Automotive provides innovative development services to its clients and partners at the national offices in Braunschweig and Munich as well as in France, China, Korea, Japan and the USA. Elektrobit (EB) is an award-winning and visionary global supplier of embedded and connected software products and services for the automotive industry. A leader in automotive software with over 30 years serving the industry, EB‘s software powers over 1 billion devices in more than 90 million vehicles and offers flexible, innovative solutions for connected car infrastructure, human machine interface (HMI) technologies, navigation, driver assistance, electronic control units (ECUs), and software engineering services. EB is a wholly owned subsidiary of Continental.